Stained glass artist Kate Billington is (at least) the third generation in her family to have been given the nickname “Billigoat” - so it when it came to thinking of a name for the business, it was already there! 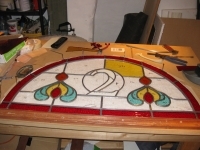 Billigoat Designs specialises in teaching the art of leaded glass. Where can you have a stained glass window? 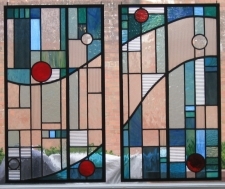 Glass panels of all sizes can be commissioned as unique birthday presents, anniversary presents, wedding gifts etc. 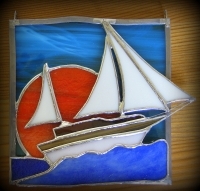 Also popular are "Light-Catchers" for Mothers Day, Valentine's and Christmas gifts. Existing stained glass in your house?